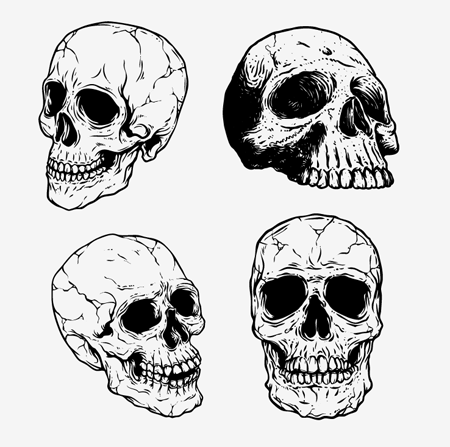 Skulls are one of the most sought after vector resources, and are a particularly popular theme in the apparel industry. Who better to create a hand-drawn skulls vector pack than the talented folks from Go Media. This premium pack comes straight from their arsenal range of resources, and is free to Access All Areas members. 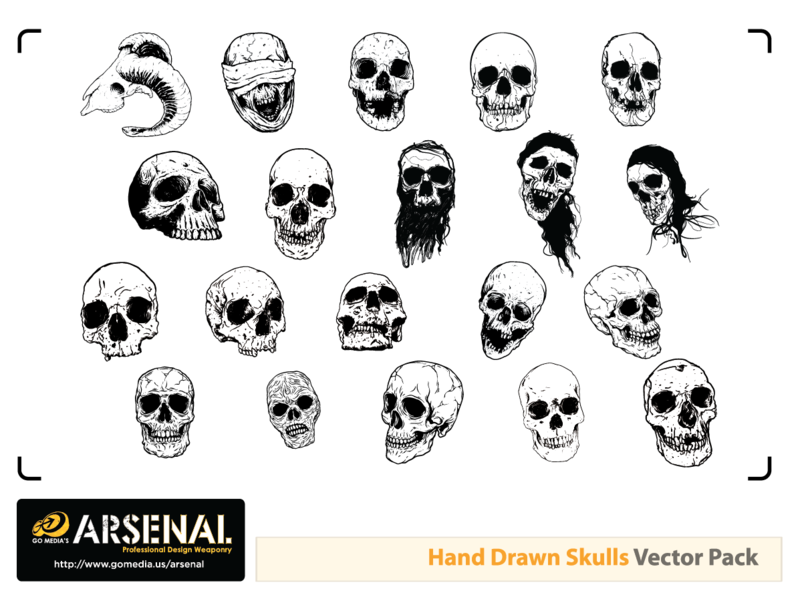 Each skull in this 20 strong pack is hand drawn for that complete DIY feel, and is based on reference photos for accuracy. 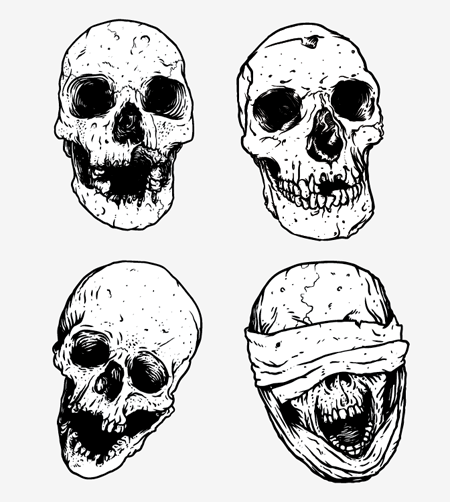 Being vector graphics, they’re perfect for all types of design projects with infinite scalability and clean lines. Хм..очень классно, но приобретать не вижу смысла. Hm…very cool, but do not see any reason to buy. @jake – that would be copyright theft and you’d be liable to be convicted of copyright theft. Also – if you did want to use it for print work the graphic wouldn’t be of a high enough resolution. @Jonny – It would be a copyright theft, but it’s almost impossible to be convicted for stealing it. How should you know he haven’t bought the image-pack or got it from some friend etc etc? @Jonathan – if the creator thought you had stolen the graphic – you’d have to prove you bought it. Simples. If you get it from a friend – this could still be copyright theft – and most probably is. Most things will only come with one user license. Dammnd .. Its Pirate Time! So .. lets enter ..